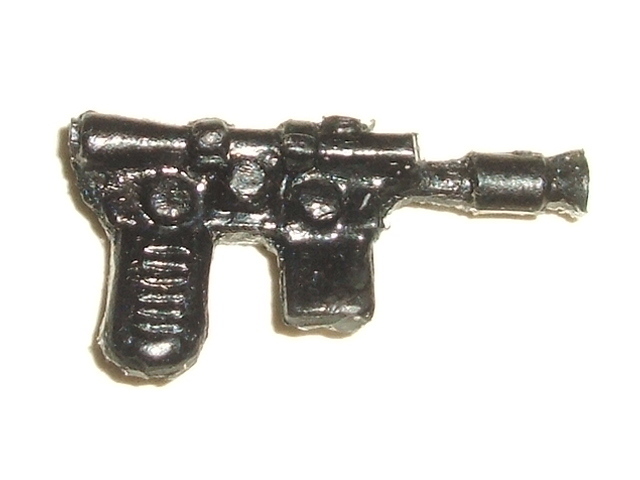 Black Imperial Blaster; Kenner? Crap or other variant? I don't post often on this board, but here I have an issue I don't have a real answer to. A (well known) collector sold me this blaster a year ago. 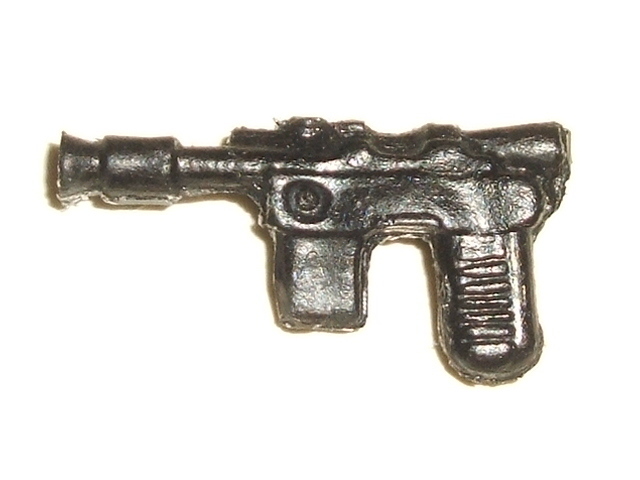 I bought it as a black blaster for Luke Stormtrooper (Kenner). Another collector recently stated that it might be not Kenner, but PBP or another variation. I searched the reference guid here on TIG but am still unsure. Any suggestions on this one? I hope the pics are sufficient. No one here who can help? Agree with Stef it looks repro Doublecheck against the breakdown he posted. If you can confirm if it floats (and stays floating when pushed under water) that would be a great help. The full set of these repros will all be added to the guide soon. Do you have photos of them all? Paul/AJ, check the dev section I'm pretty sure there are now some more 'new' undocumented repros on the market. links are provided there as well. 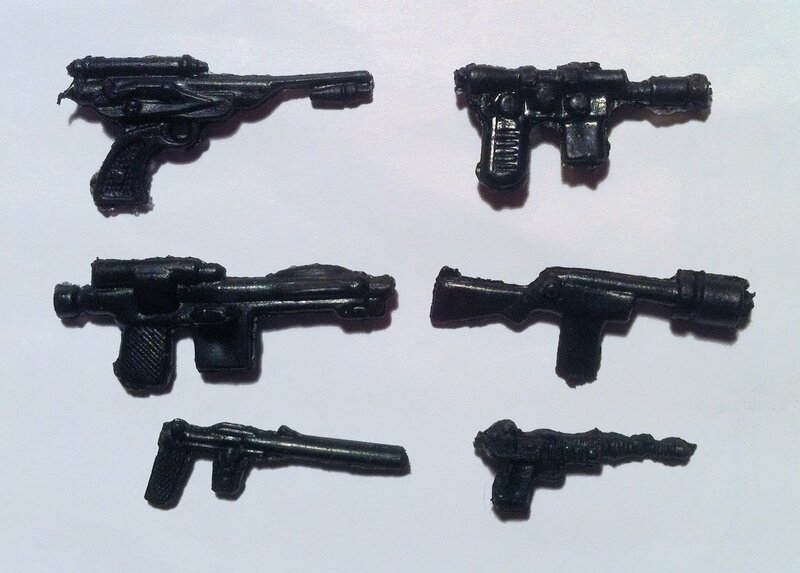 Back to the batch of repros that the OP questioned and AJ's pic of the Imperial Blaster... do we know when this batch first hit the market? Not sure but they've been discussed before, maybe AJ knows as he posted inthis thread back in 2012, a few of the guns are in the photo archive, do we know when they were submitted? I also posted a watch out for the black a-wing gun as an ebay seller was using the float as a proof the item was legit!!! I have multiples of all accept the smuggler blaster, but I know the a-wing and place blasters are very common. Maybe worth an write up on there own if we can establish more facts? I've be happy to provide high res photos from multiple angles and float test images. Cheers Stef. Yes go for it if you fancy making a write up. You already have the breakdown of their characteristics, just need to try and nail down any dates and what country they first originated ideally.The biggest thing about these I can see so far is that they all float and the Palace blasters have the correct dots. Individual shots, a group shot, float tests, and some detail pics of flashing, moulding, bubbles etc would be good. I've checked IG and looks like we have the Jawa V4 and Palace Blaster V3 repros currently on the guide. You can see the mould seam all the way around the weapons- no injection point/sprue limb. "It has excess flashing and in-hand has a slight Green colour to it. 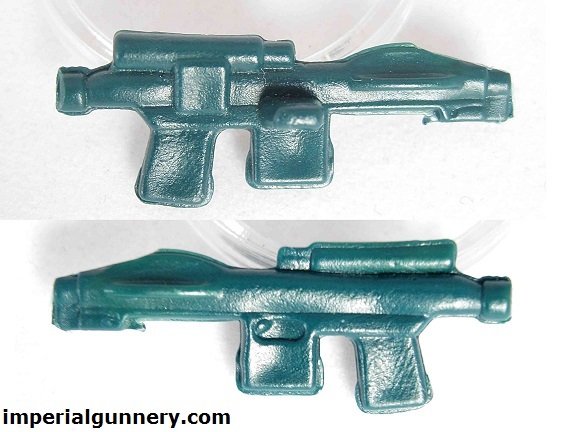 There is no sprue tree break on the bottom of the magazine and the handle lacks crisp detail. 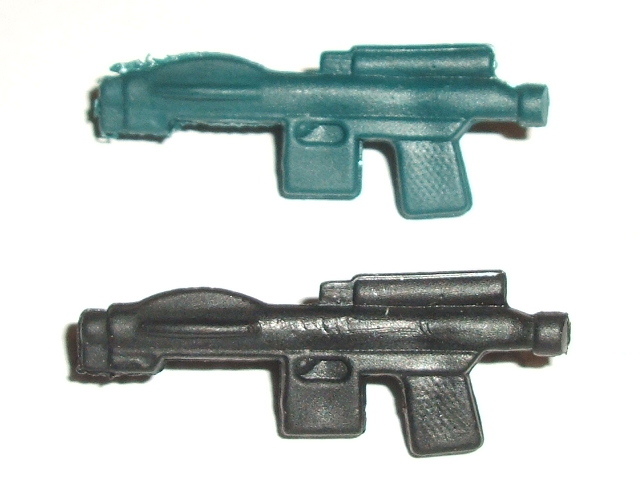 The blaster compares well to an original for the drop test. For the float test it will float even when pressure is applied. The blaster feels rigid with just a small amount of flexibility." Looks like AJ beat me to it. It's also worth mentioning that if you apply a little pressure they will snap in half. I know I just did it to mine LOL!! Subject: Re: Black Imperial Blaster; Kenner? Crap or other variant?